Whether you are suffering from debilitating hot flashes or you wish for a restful night of sleep, dealing with menopause is no walk in the park. Staying Cool for Hot Flashes and Menopause Relief is packed with an abundance of healthy vitamins including vitamin A, C, D, and B complex. Manganese, zinc, selenium, and copper boost the efficacy of this healthy natural formula. Also included are clinically-researched ingredients like Organic KSM-66® Ashwagandha, SoyLife® Soy, Chaste Tree Berry, Black Cohosh, Magnolia, Jujube, Hops, St. John's Wort, and Pueraria Mirifica. These healthy ingredients provide long-term relief by focusing on treating the root cause of menopause instead of masking symptoms. 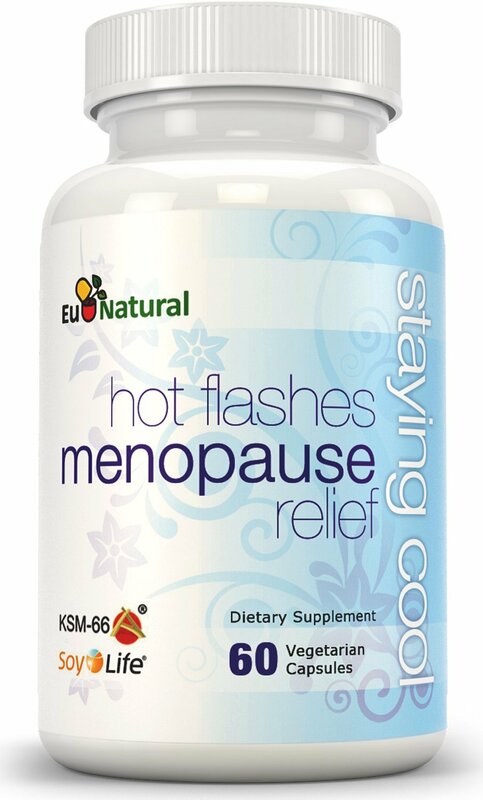 The powerful blend of all-natural vitamins, minerals and herbal extracts can help manage the symptoms of hot flashes, night sweats, mood swings, vaginal dryness, weight gain, sleep, menstrual changes, and libido. Quality Guaranteed Purely formulated without fillers or artificial ingredients and made in the USA, each production batch is meticulously analyzed to Strict FDA Standards by a cGMP Certified Laboratory. Now I am taking this every evening. I love the great herbs in it but I am not sure how well this works. I have noticed a big change ever since I changed my eating habits to intermittenet fasting. Less flashes. And at night a lot less too. This could be helping. But I can say that the ingredients alone like Ashwagandha is sooo good for you. If you are experiencing severe flashes this is a product to give a try.